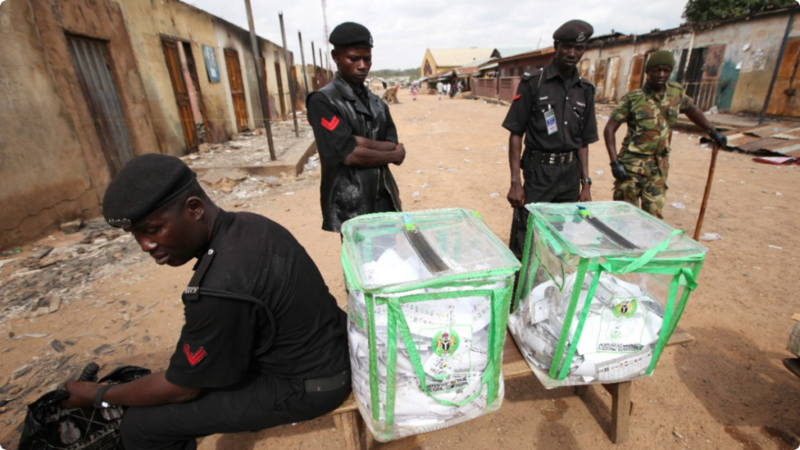 Police say a car bomb exploded at a polling station in Nigeria’s south-central Enugu state but did not hurt people gathering to vote in a presidential election that analysts say is too close to call. State Police Commissioner Dan Bature says an anti-bomb squad detonated two other cars filled with improvised explosive devises at the scene at a primary school. There was no claim of responsibility. The explosions occurred far from northeastern Nigeria, the center of Boko Haram’s Islamic uprising. Voters in the south of the country could determine who will win elections between front-runners President Goodluck Jonathan and former military dictator Muhammadu Buhari.